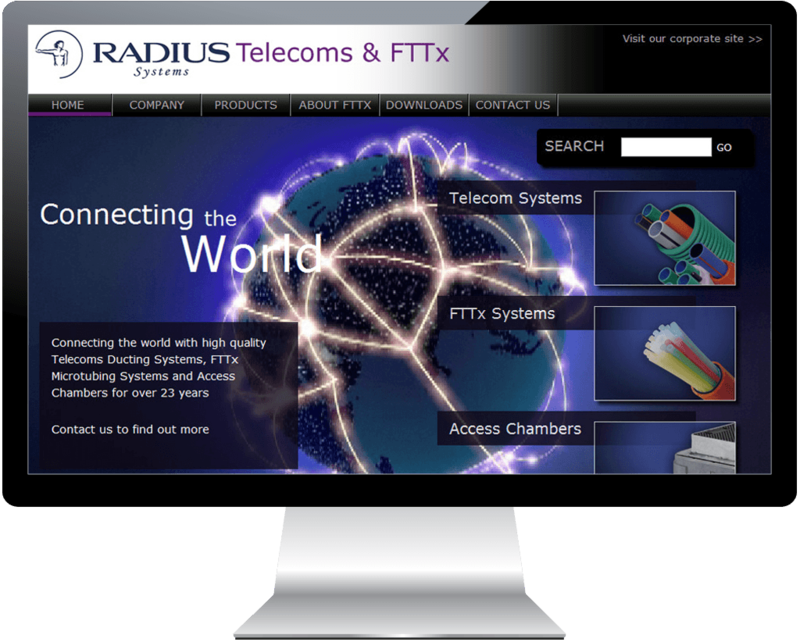 Radius Systems is the only provider to offer solutions spanning the entire pipe lifecycle. The core element of our business has been the development and manufacture of plastic pipes and fittings for the gas, water and wastewater sectors, and producing solutions for the telecoms market. Having provided digital media services to Radius Systems for over 7 years, they tasked us to produce a suite of three websites to promote their main products and services;Radius Systems, Radius Plus and Radius Telecoms. A key requirement for the new suite of websites was for them to maintain a consistent look and feel while also being tailored to accommodate the requirements of their individual markets. Each website is powered by our Content Management System which enables Radius Systems to fully manage all content and enquiries generated via the website in-house.